If you’re a marketer today, you’re probably knee-deep in third-party tools. And why not? With modern marketers wearing so many hats, we need all the help we can get. However, choosing the right tools can be tricky, especially when it comes to social media. After all, our goals are all different. Our budgets are, too. Hey, we’ve got you covered. In this guide, we break down 9 tools that can help you save time and score that ever-so-precious positive financial ROI for your time spent on social. Trying to dominate Instagram? Just looking to wrangle your social followers? Nice! By the end of this list, you can decide which tools are right for you. 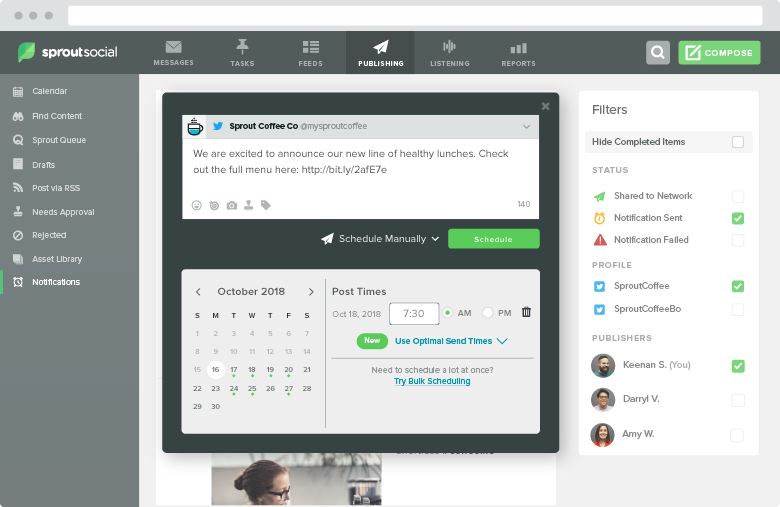 When it comes to social media management tools, Sprout takes the cake and then some. And no, we aren’t just tooting our own horn here. 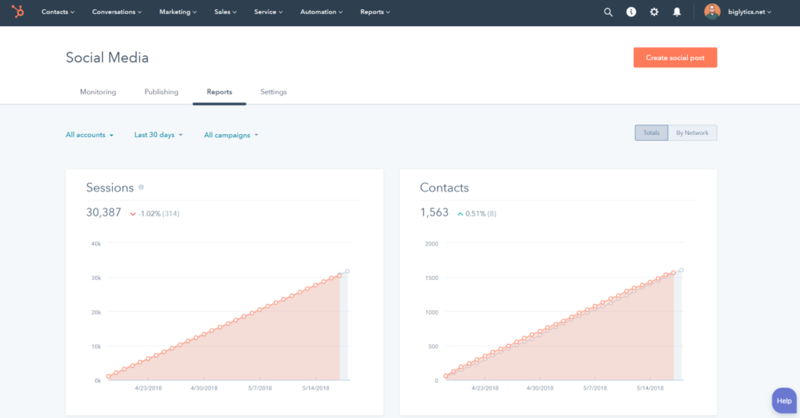 With Sprout’s all-in-one scheduling dashboard, marketers can spend less time hopping between platforms and more time connecting with their customers. The ability to queue up your posts also allows you to optimize your tags and captions based on whichever platform you’re publishing to. In other words, you can time your posts to perfection and ensure you’re killing it on whatever network is your top priority. Where Sprout really shines is its actionable analytics and reporting, though. From top-performing content to suggested hashtags, you can consistently fine-tune your posting strategy to squeeze the most engagement possible from your social content. Integrating with Facebook, Instagram, Twitter, LinkedIn and now Pinterest, brands can streamline their social presence within a single platform. The end result of Sprout is a social strategy that’s run efficiently and by the numbers, allowing you to take action to win more customers over time. We want our social content to reach as many people as possible. No-brainer, right? That’s exactly why brands today can’t limit their social marketing to a single account. The rise of employee advocacy has led to brands finding ways not only to maximize their content’s reach but also present it in a more organic, authentic way. 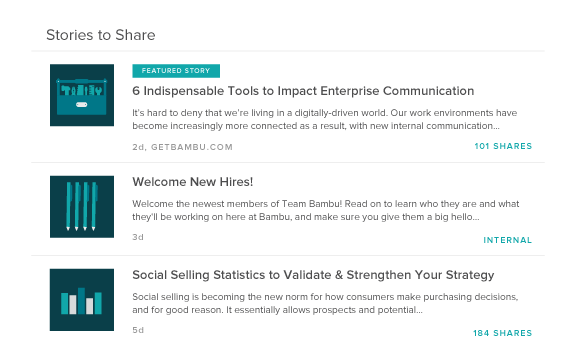 Platforms such as Bambu provide a central place for businesses to promote their content via multiple employee accounts. This translates to more eyes on your content and less haphazard posting on behalf of your team. This approach to social sharing extends the lifespan of any given piece of content, effectively giving it the legs it deserves. Oh, and this also increases the likelihood of getting in front of relevant customers and industry players. Noting that 91% of B2B buyers conduct social research before making a purchase, Bambu ensures that your brand doesn’t go unnoticed by buyers. By tapping into the audiences of your employees, you can also get in front of more industry leaders on LinkedIn or Twitter who might need see your branded content. Knowing just how many people see your content helps with documenting the ROI of your social efforts. Bambu’s analytics provide a bird’s-eye view of what’s being curated by your team and where it’s performing best. Brands today understand that every social interaction with a lead should count for something. Think about it. Whether it’s sharing your content or having a back-and-forth on Twitter, these sort of positive touchpoints can build toward long-term customers. That is, only if you’re tracking these touchpoints regularly. Hubspot’s social inbox helps marketers keep track of social interactions without fail. Integrating with Hubspot’s forever-free CRM, brands can paint a more comprehensive picture of their leads and what sort of content they’re interested in. For those conducting outreach or an account-based marketing campaign, enriching your leaders with social data is a game-changer. With tools such as Hubspot, the financial ROI of your social efforts doesn’t have to be a giant question mark. If you want your social content to perform well, you need to know the hot-button topics in your industry are. And similarly, you need to know whose content is currently killing it. 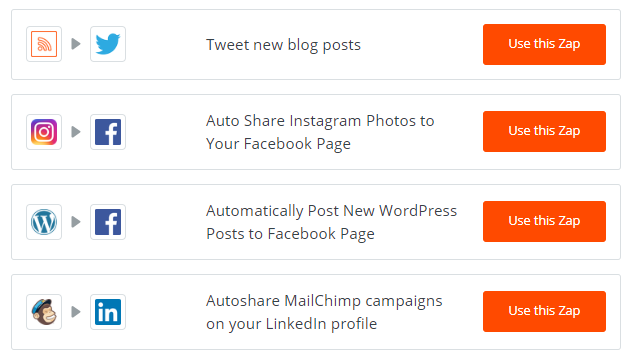 Buzzsumo does double duty by cluing you in on both simultaneously. Allowing brands to search by keyword, Buzzsumo ranks top-performing content based on social shares while noting the author and source. This serves as a fantastic tool for both competitive analysis and potential content ideas that people actually want to see. 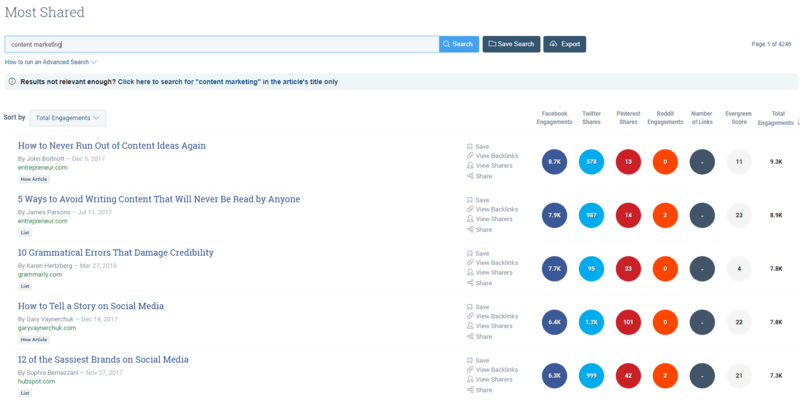 Also, it’s a fantastic tool for researching influential authors in your industry. These are the sorts of people that you should be following, sharing and tagging via social if you want to land their attention. Buzzsumo themselves notes that the current content marketing landscape is cutthroat. Knowing “who’s who” and what topics resonate with readers are key to keeping people from sleeping on your social posts. Given recent changes to the Facebook algorithm, brands need to tick quite a few boxes to ensure their organic reach isn’t being totally throttled. From how often you post to encouraging interactions with followers, every piece of engagement counts. 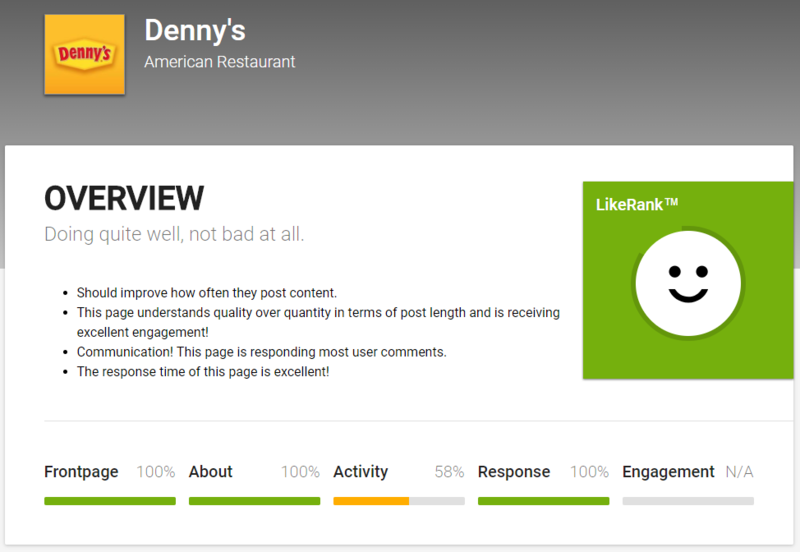 Likealyzer provides a quick but comprehensive audit of your Facebook presence. Unlike the other social media management tools listed here, all you need to do is copy-and-paste your Facebook URL to see where your page stands. 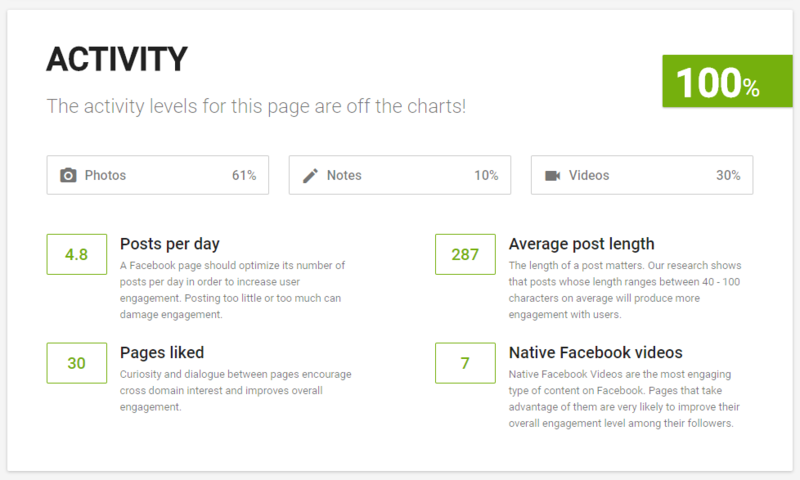 The report looks at data points of your page’s content and assigns them a score accordingly. While these metrics may not be the be-all, end-all of your Facebook presence, they can be eye-opening if you’ve never conducted a proper Facebook audit before. From switching up your content strategy to ensuring you’re going back-and-forth with followers, these points could be key to outsmarting the Facebook algorithm. Social media and content marketing go hand in hand. 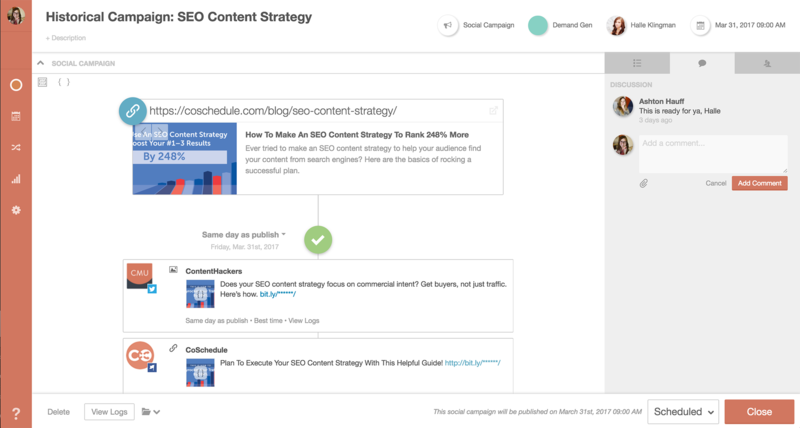 CoSchedule’s help marketing teams work in tandem to ensure that everyone is on the same page content-wise. Literally. 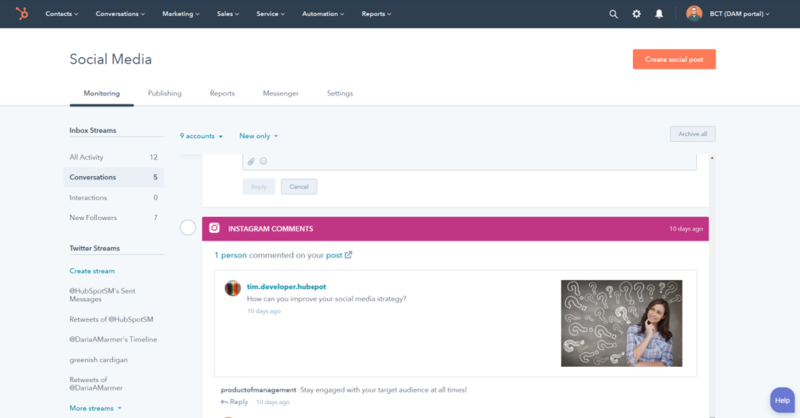 In short, the tool integrates with platforms like WordPress so teams can publish to their blogs and social channels at the same time. 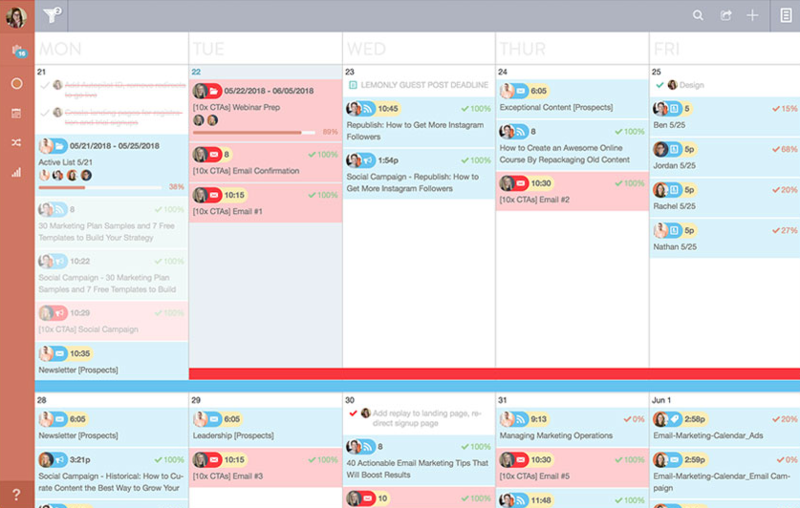 CoSchedule’s comprehensive marketing calendar is an efficient alternative to endless email chains or spreadsheets. 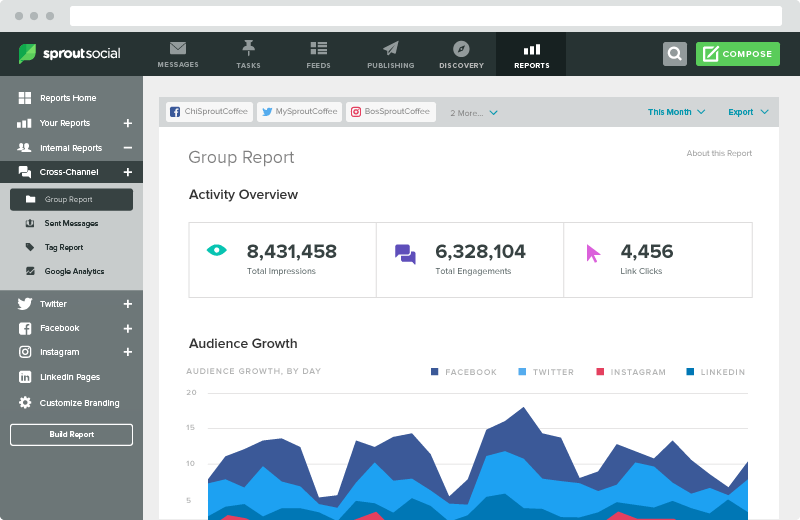 The tool also helps brands track the promotional lifecycle of a piece of social content after it’s gone live. 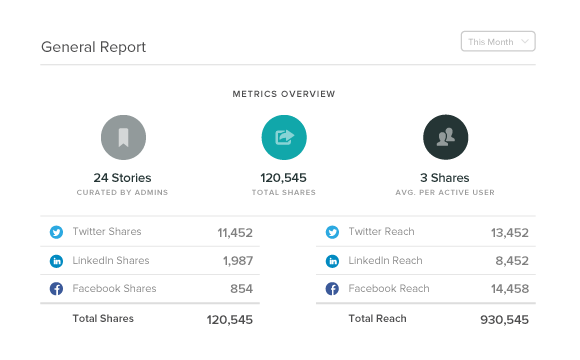 Through the platform’s analytics, marketers can see their top-performing content to see what’s getting the most shares over time. Finally hitting the long-anticipated one billion user mark, Instagram has steadily been rolling out more and more business features tailored for marketers. The popularity of Instagram story ads and influencer marketing alone signal just how powerful the platform has become within the past year. As such, Iconosquare represents a platform that is laser-focused on Instagram. Features such as Instagram story analytics help Iconosquare stand tall above similar social media management tools that simply stick to photo and video analytics. As Instagram continues to grow, Instagram analytics including popular hashtags, potential reach and optimized timing have become increasingly important. Brands and influencers must monitor each of these metrics closely if they want to stand out in a social landscape that’s crowded with competition. Brands are scrambling to put as many of their most tedious processes on autopilot as possible. And let’s be honest: your social media to-do list can quickly spiral out of control. This is especially true if you’re pushing out a ton of content. Connecting with existing tools or social platforms, brands can use Zapier’s integrations to automatically publish content to social as soon as it goes live. 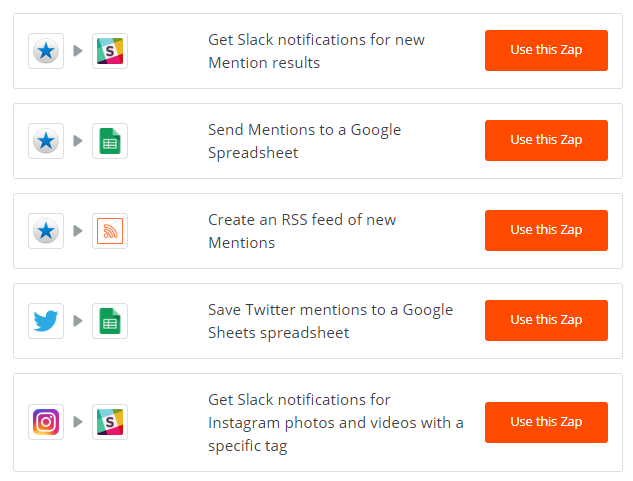 As highlighted below, Zapier’s social integrations range from everything from blog posts to emails and beyond. Zapier is a powerful tool for social listening in particular. For example, there are zaps which automatically notify brands of social mentions or export those mentions into a spreadsheet. No matter what existing social media management tools you’re already using, there’s a good chance you can couple them with Zapier. For example, check out how Zapier integrates with Bambu to help automate your advocacy and content marketing efforts. Although not a social tool in and of itself, Zapier integrations are a brilliant way to streamline your social efforts on a day-to-day basis. If you’re totally new to social media management tools, Tweetdeck is a smart place to start. Now officially part of Twitter, Tweetdeck’s dashboard serves as the sort of command center of your Twitter activity. At a glance, you can see your latest mentions and notifications as well as fresh content in real-time. This means less jumping between menus which is always a bonus. Tweetdeck allows for simple, straightforward social scheduling as well. Allowing you to write out posts in advance, you can tap into the best times to post on Twitter minus having to obsess over tweeting in real-time. 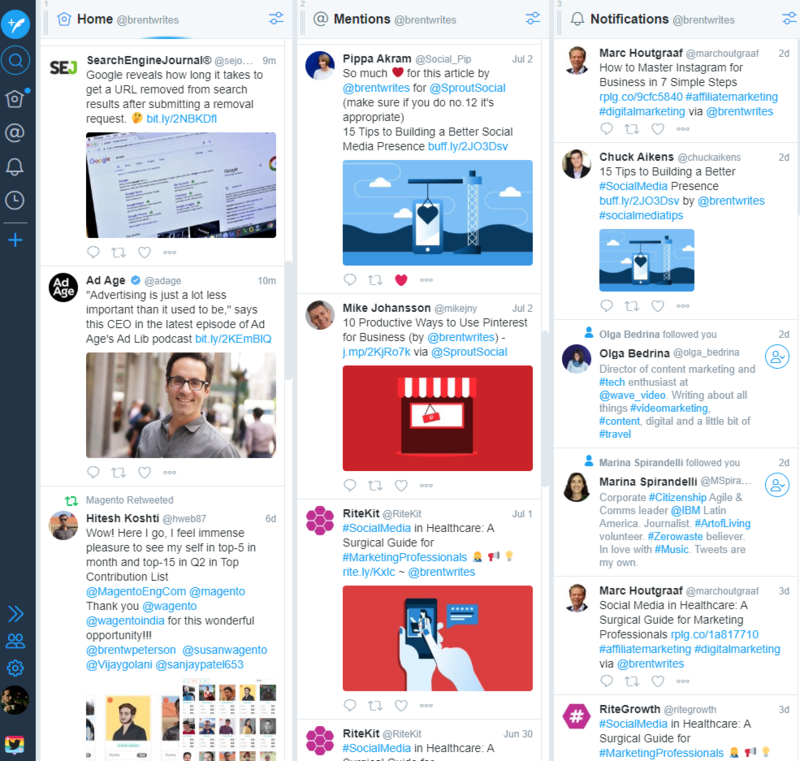 While Tweetdeck lacks the bells and whistles of a more robust scheduler, its free functions are fair game for solo brands looking to ease themselves into using third-party tools. Which Social Media Management Tools Are Your Must-Haves? So many tools and so little time, right? Don’t sweat it. The takeaway here is that there are plenty of third-party options out there for marketers regardless of your goals or budget. Hopefully our list was able to help you hone in some social media management tools that make the most sense for you. And we want to hear from you, too! What features are make-or-break for you when it comes to your choice of marketing tools? Let us know in the comments below.